Painted in 1927 when HLM was at the height of his career. The suspenders were a gift from Rudolph Valentino. 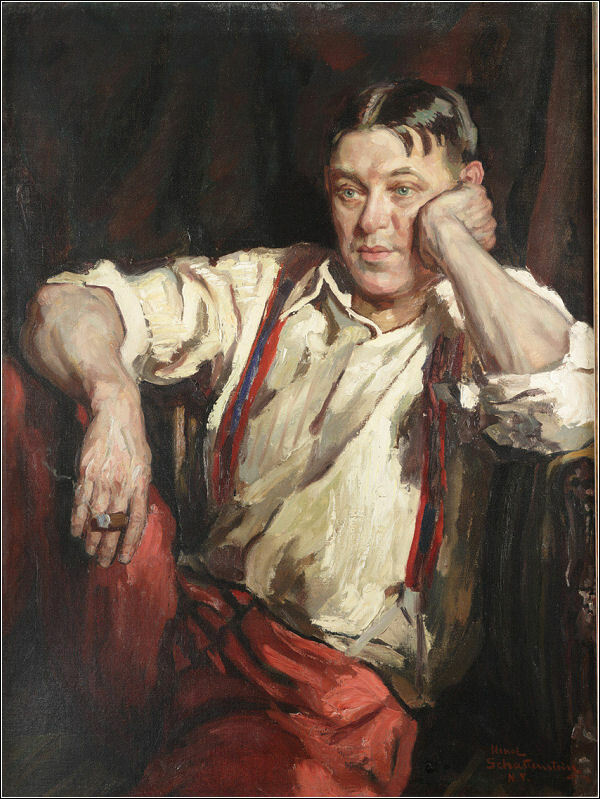 The portrait, presented to the Enoch Pratt Free Library by The Friends of Mencken, now hangs in the Library's Mencken Room.